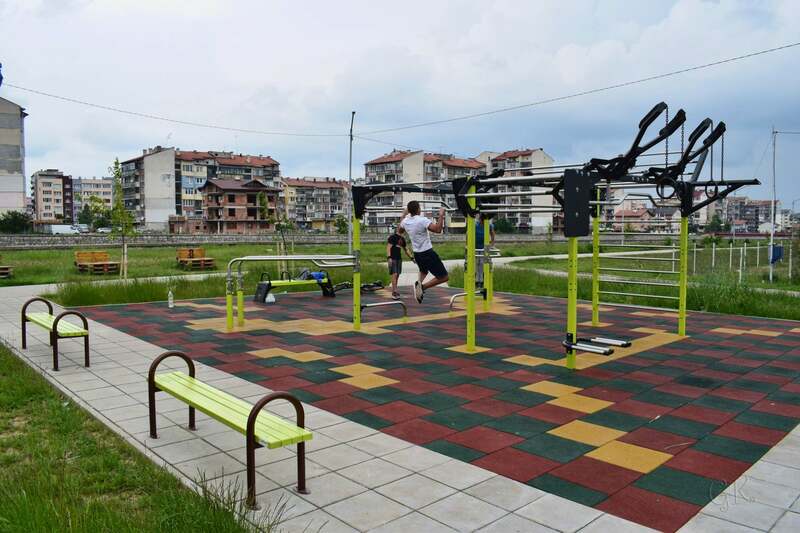 - in the yard of Sports School “Nikola Velchev” – the appliances are mounted on a special floor covering of 50 square meters. During training, the 10 combined appliances load all the muscles. The sports ground is located near the circular running track, which allows for different combinations and training. 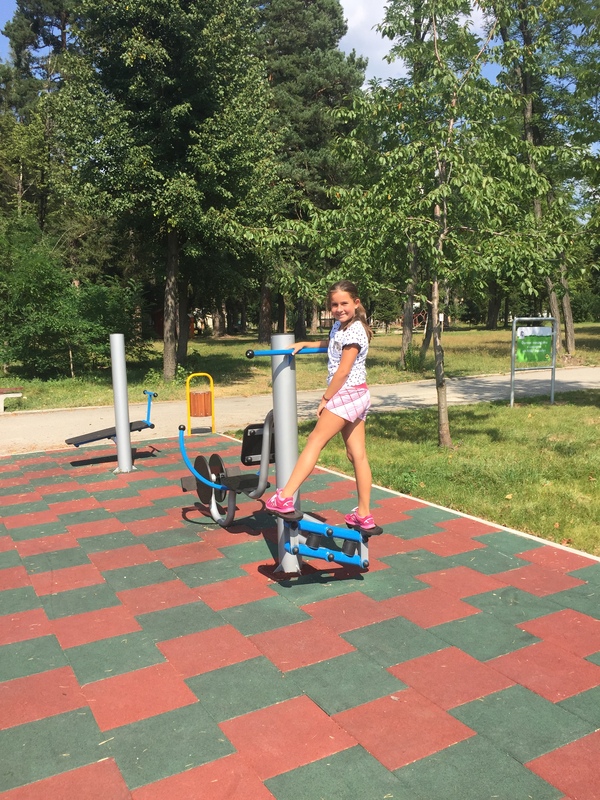 -in the yard of the Sports School “Nikola Velchev” /south of the existing fitness equipment/ – since 2017 there is a new street fitness . 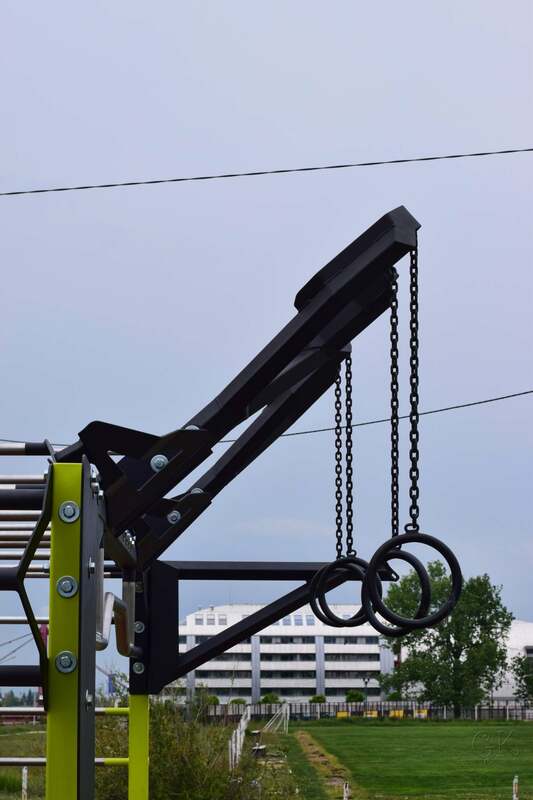 Various appliances are mounted on a special modern flooring: Swedish wall, long double and long straight lever, triangular lever, multifunctional lever, as well as a lever with spheres, ladder, rings, punching bag, so-called handstand, monkey ladder. 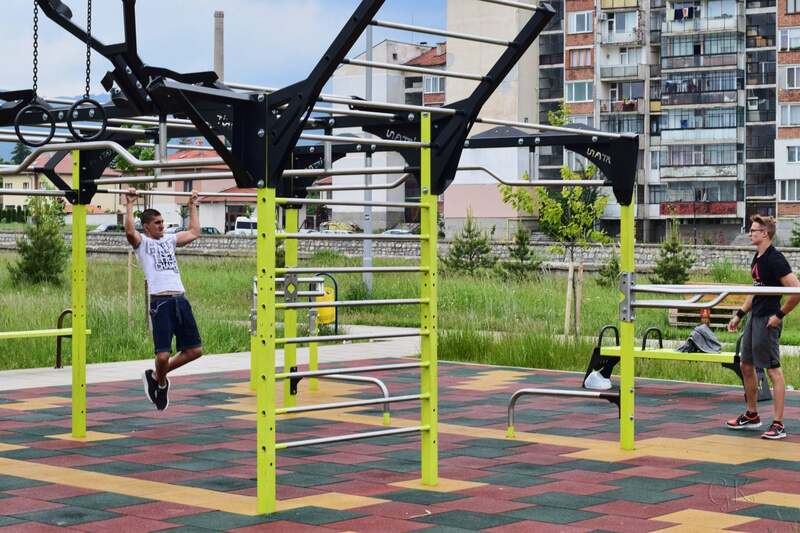 This multifunctional station offers a variety of exercises and it allows to train a total of 26 people at the same time. 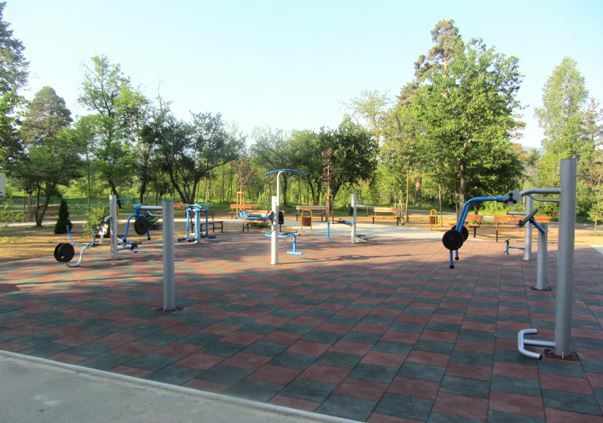 - at the southern end of Park Tourist Park – there are 9 fitness appliances, mounted on modern shock-absorbing flooring. 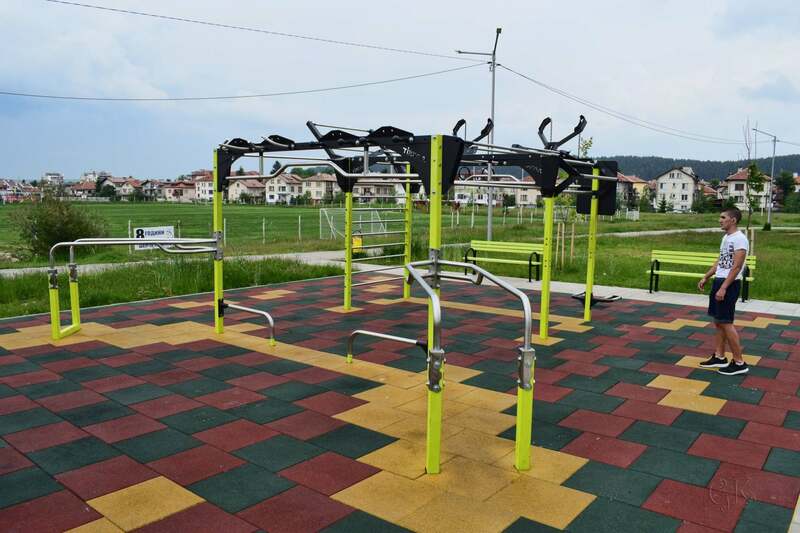 The appliances are suitable for practicing different exercises by people of all ages.